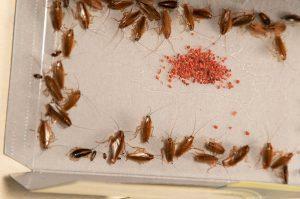 During summer, more and more people are seeing cockroaches within their homes or businesses. The warmer weather certainly speeds up the hatching of any eggs and a small problem can escalate to a major issue pretty quickly, cockroaches can withstand a Melbourne winter and cause problems for businesses and residential properties all year round. These are the 3 main cockroaches quite a few of you will see during the summer months, whether it is at home, office or workplace. This is the most feared cockroach for business owners especially cafes and restaurants but infestations can be rife in households too. The German Cockroach is 12-15mm in length, light amber brown with 2 dark stripes on its pronotum (head). The time frame from hatching to adulthood can be as little as 40 days and each egg case a female produces can contain up to 30 eggs. So infestations can get out of control very quickly in the warmer months. The German Cockroach commonly infests internal areas of buildings, especially kitchens, pantries and food handling areas. motors, microwaves and various other appliances as well as wall cavities, roof voids and subfloor areas. 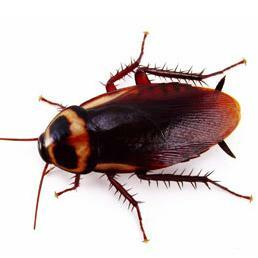 The German Cockroach prefer warm, moist areas, so kitchens and bathrooms are particularly at risk but can infest computers, phones etc. 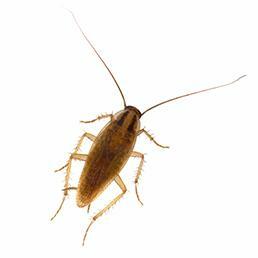 If you’re seeing this cockroach in other areas of your premises you could be harbouring a large infestation. The threat of disease transmission to humans is significantly high with this cockroach as they tend to walk on food preparation areas, utensils and leave behind regurgitation marks and bacteria from their bodies, they also can contaminate food stocks which can cause gastroenteritis among other food poisoning conditions. The American Cockroach is about 35-40mm in length, reddish brown with a pale yellow border it’s pronotum. It takes 6-12 months to become an adult from hatching and a female can produce around 35 egg cases in her lifetime. Each egg case can have 15 eggs in it. 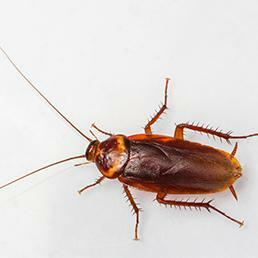 The American Cockroach is often found in subfloors, sewers, grease traps, cellars, basements, wall cavities, roof voids and in/around rubbish bins/dumpsters. Buildings such as bakeries, hospitals, schools, food-stores, warehouses and domestic homes are the most at risk buildings but high rise office blocks with plant rooms are also at risk. They feed on almost anything including human/animal food but prefer decaying organic matter. They can survive for 2-3 months without food as long as there is a water source. The Australian Cockroach also known as the Native Bush Cockroach is 30-35mm in length, dark brown with clearly defined yellow border around its pronotum. From hatching to adulthood takes around 6-12 months and a female can produce 15 egg cases in its lifetime. Egg cases can have 20 eggs in it. The Australian Cockroach is mainly an outdoors cockroach but can wander internally on hot or very wet days. It’s found under the bark of trees, woodpiles, in mulch, joints of wood fencing and pergolas, subfloors, wall cavities, garages and sheds. The Australian Cockroach prefers plant materials. As this is mainly an external pest, home owners only know of an infestation on days they wander internally. Where a treatment for the German Cockroach is required a follow-up treatment would be necessary (around 10-14 days after initial treatment), this would target unhatched or recently hatched eggs thus controlling the infestation breeding cycle. In severe infestations a 2nd follow-up treatment may be necessary, this would be discussed with you at the 1st follow-up treatment. Contact us for cockroach treatment details and an accurate price. Businesses should contact us to arrange a free inspection and quote.